China’s largest slurry tunnel boring machine (TBM) rolled off the production line in Zhengzhou, capital of central China’s Henan Province, on Sept. 29, according to the Chinese news agency Xinhua. The machine, named Chunfeng, has a diameter of 15.8 m (51.8 ft), making it the largest slurry TBM designed in China. It weighs around 4,800 tonnes and is 135 m long. The machine is developed by China Railway Engineering Equipment Group Co. Ltd. (CREG) and will be used for excavating a tunnel in the southern city of Shenzhen. CREG is a leading TBM supplier worldwide. 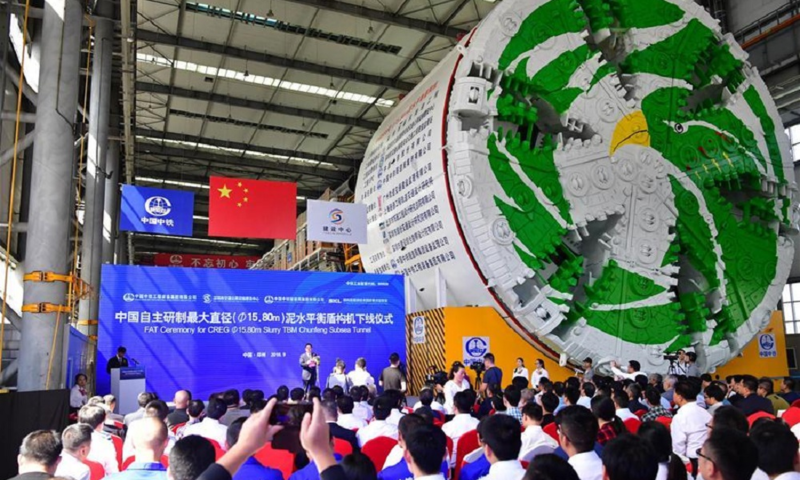 As of June, 2018, the company had signed 788 TBMs for tunneling projects, in which 656 are operating around the world, according to the company.